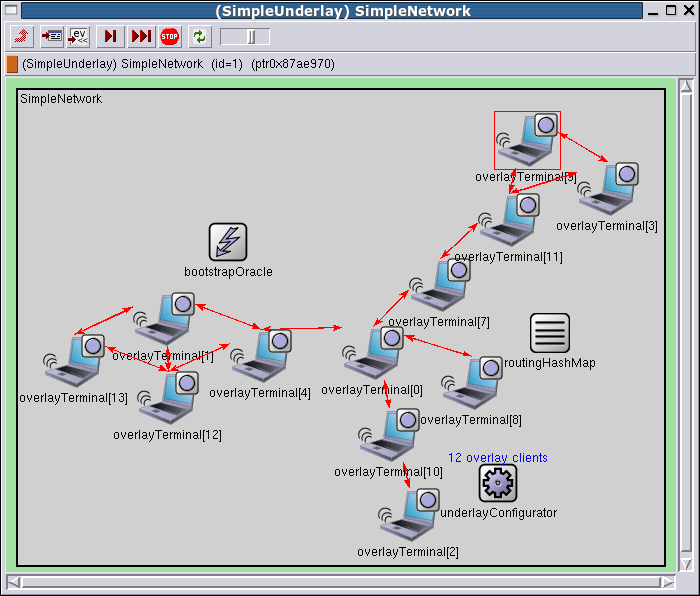 OverSim is an open-source overlay and peer-to-peer network simulation framework for the ​OMNeT++ simulation environment. 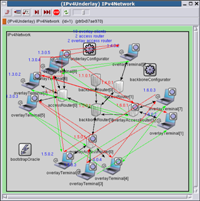 The simulator contains several models for structured (e.g. Chord, Kademlia, Pastry) and unstructured (e.g. 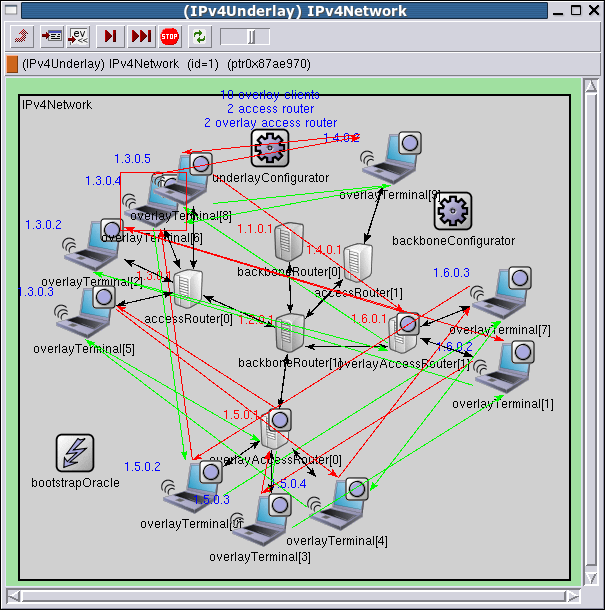 GIA) P2P systems and overlay protocols. OverSim was developed at the ​Institute of Telematics (research group Prof. Zitterbart), Karlsruhe Institute of Technology (KIT) within the scope of the ​ScaleNet project funded by the ​German Federal Ministry of Education and Research. 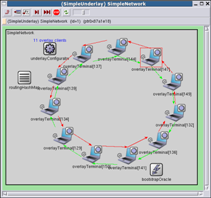 The simulator is actively developed and open to contributions. If you have any questions regarding OverSim, please send an email to the MailingList. 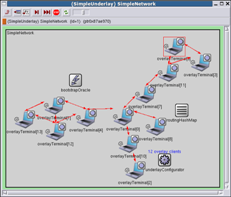 There will be an OverSim tutorial at the ​OMNeT++ workshop in Cannes on March 5th (together with Simutools 2013). 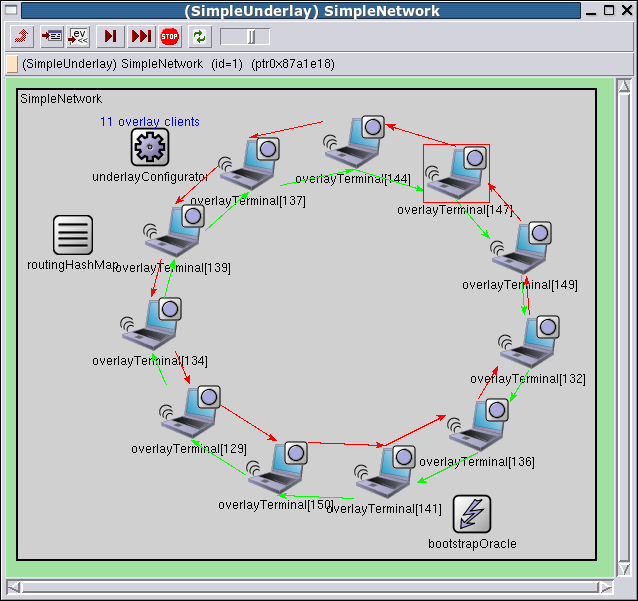 OverSwarm is an OverSim extension for creating and evaluating swarm intelligence based peer-to-peer network algorithms. Download it on the ​OverSwarm website. OverSimGuide -- Starting point for the OverSim documentation. OverSimFeatures -- Already available and planned OverSim features. OverSimDownload -- Download OverSim on this page. MailingList -- Join the mailinglist for user and developer discussions. OverSimTeam -- The core developers of OverSim. For a complete list of available wiki pages, see TitleIndex.